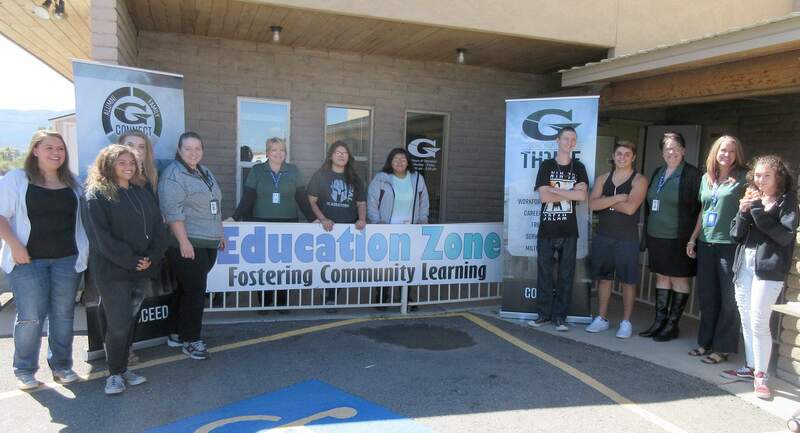 The GOAL Academy recently moved to a new location at 2531 E. Main St. in Cortez. The main classroom at Goal Academy is spacious. There is a student lounge and quiet areas. Academic adviser Carla Nuvy helps a student at the Goal Academy High School in Cortez. 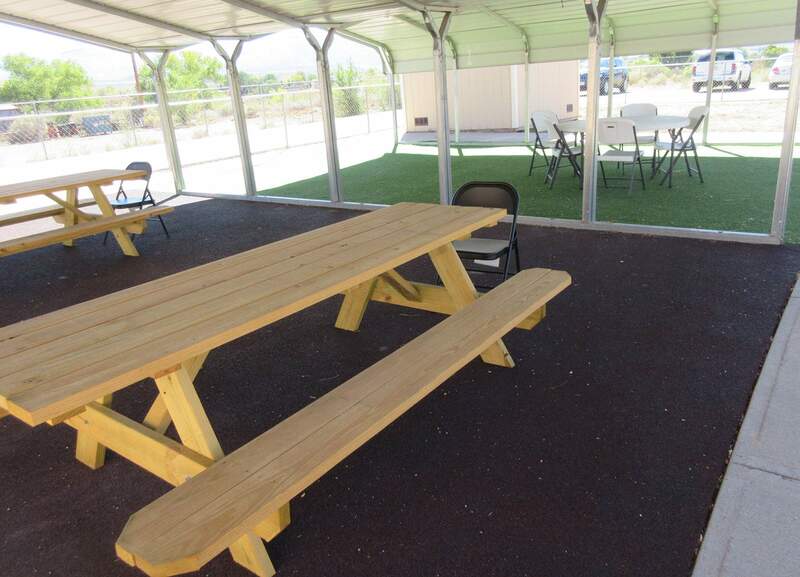 Students also have access to an outdoor patio to study or do art projects. A lesser known charter school in Cortez is gaining in popularity and has recently moved to a larger campus. GOAL Academy High School, 2531 E. Main St., is an accredited multidistrict online charter school with the Colorado Department of Education. The free school is authorized through the Falcon School District 49 in Pueblo, and funding is provided through Colorado taxes the same as other public high schools. 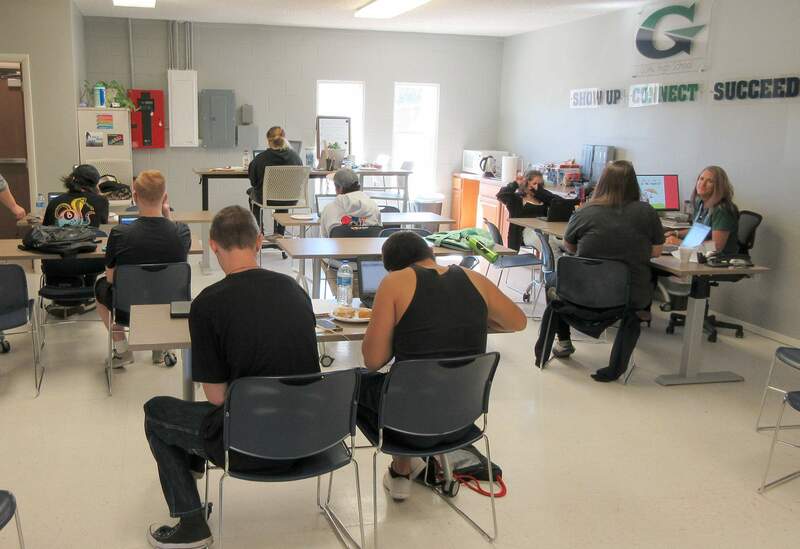 The alternative high school has been in Cortez since 2008 and caters to at-risk students, previous dropouts and those with challenging life circumstances, such as young moms and students who have jobs. Enrollment has been growing, said academic adviser Carla Nuvy, and has 84 students this year, compared with 72 students last year. In September, the school moved from their cramped location on Linden Street to an expanded new campus on East Main Street between Denny Lake and the Colorado Highway 145 turnoff. The large brick building has a main classroom, student lounge, quiet areas a covered outdoor patio and room to expand. Qualified teachers instruct students online, and academic advisers and college-educated paraprofessionals assist students with their school work and life challenges. Students, provided with laptops, can access assignments and instruction from anywhere with internet service. Hot spots are also provided for students working at home with poor internet service. 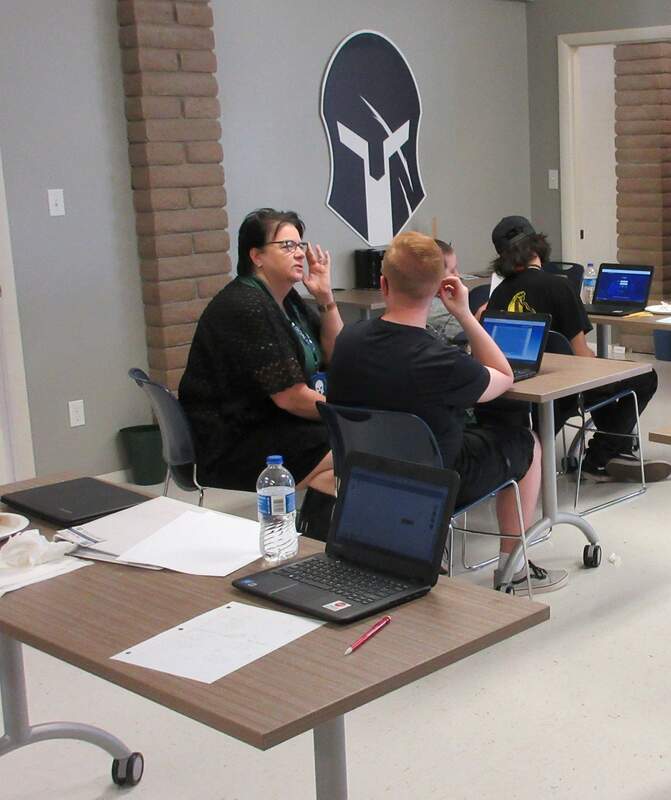 GOAL offers a college-concurrent program as well, in which students take free college credit courses at Pueblo Community College Southwest Campus as they work toward their high school diploma. Students may listen to lectures and work on assignments at the GOAL campus or at home. Nuvy said there is a misconception that GOAL is a GED school. Many GOAL students dropped out of traditional high school and need a second opportunity. Others are young moms, work full-time jobs or have family responsibilities. In one case, a homeless student earned a diploma, then was able to qualify for military service. Another student was working 70 hours per week, and when the employer said he needed a diploma, the GOAL program allowed him to take courses at night and graduate. GOAL even has an over-21 program, but only if the student has enrolled previously. The staff helps them gain their diploma on a volunteer basis, because the state does not provide funding at that age. GOAL students graduate with a workforce certificate, said paraprofessional Kristina Umberger. The test-based certificate lets potential employees know the graduates’ skill levels for topics such as English, applied mathematics, workplace documents, computers, understanding graphs and maps, and construction skills. Diane Taylor said her granddaughter is finding success at GOAL.